Citroën C4 Cactus Review 2019 | What Car? Citroën used to be known for designs that were more than a little quirky. Cars such as the CX and XM looked like nothing else on the road but never sold in huge numbers in this country. Over time, the styling calmed down and Citroëns started to blend in with the rest of the crowd. Then the C4 Cactus happened. Taking on board the popularity of SUVs, Citroën added its own twist to the formula, with paintwork-protecting Airbumps, vivid colours and an interior quite different to anything else in the class. While a midlife facelift has toned things down a little, you’re still unlikely to mistake it for a Skoda Octavia, Volkswagen Golf or Audi A3. 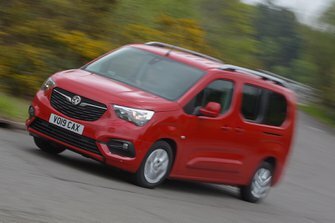 Underneath the extrovert looks are a range of frugal petrol and diesel engines – with the sole diesel unit’s CO2 output dipping below 100g/km – and a couple of generously specced trims. 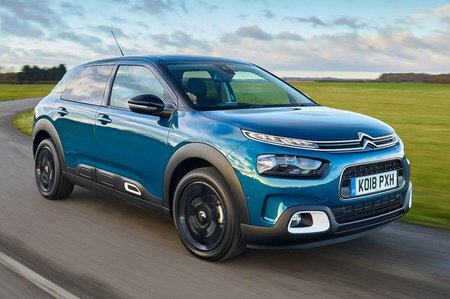 Add in a purchase price that undercuts some similarly sized rivals and the C4 Cactus becomes a surprisingly sensible choice. Keep reading over the next few pages to find out what it’s like on the road, what the interior is like and which version we’d recommend. If you’re tempted, have a look at our new car deals for hefty savings over the list price.